He’s all about deep glamour, high drama and Tilda Swinton album cameos – no wonder music critics are falling over themselves for Patrick Wolf. He headlines at the Highline Ballroom tonight. 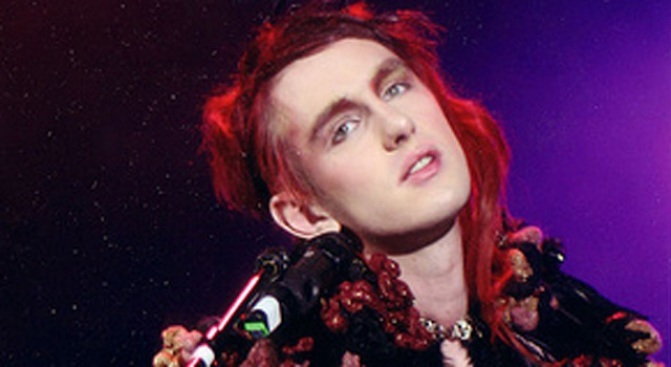 Patrick Wolf headlines at the Highline Ballroom tonight. 1. The 25-year-old South Londoner just released his fourth album, The Bachelor (download the single “Vulture” and just try to get it out of your head). It was financed in part by the public buying “shares” in the album after Wolf parted ways with his record company. 2. Wolf’s highly theatrical, sweeping arrangements – on tracks that are folky or techno-y – come from his long love affair with unusual instruments: He made his first theremin at age eleven. 3. Actress Tilda Swinton – with whom Wolf seems to share bone structure and translucent coloring – guests on the album, doing some spoken-word cameos. 4. He was arrested recently in San Francisco for spitting in a bouncer’s face – and he Twittered the whole episode. 5. He’s been compared to another glam-pop artist, Britain’s Mika – but don't do so to his face. When asked about it, Wolf’s response was, “Please let's put an end to over-marketed, expensive, heartless, tacky rubbish."